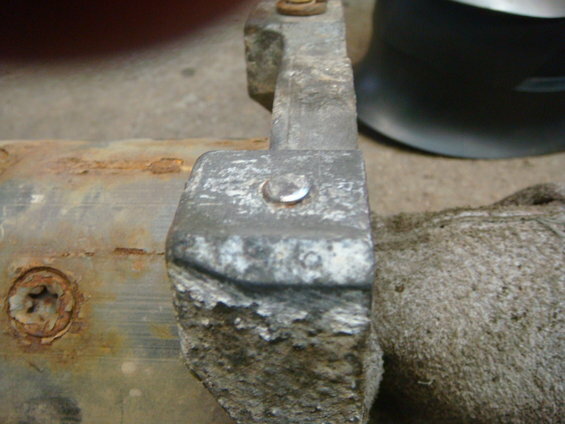 Ford Bronco Forum > Bronco Discussions > Technical Write Ups > How to Remove a Broken Bolt Stud using a Mig Welder - By Boss. 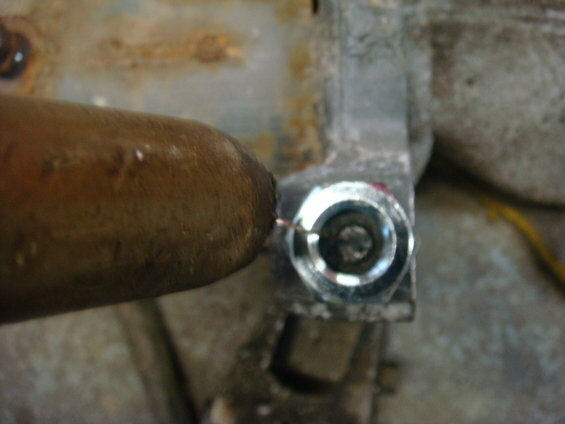 How to Remove a Broken Bolt Stud using a Mig Welder - By Boss. It'll happen sooner or later, a bolt will break leaving the stud. Sure you can try to drill it out, but you risk damaging the threads and to be honest I haven't had much luck with that, so here is what I have found that works ever time. Here we have a winch with the remains of the bolt stud just sticking up a bit, I used a wire brush to clean it up. 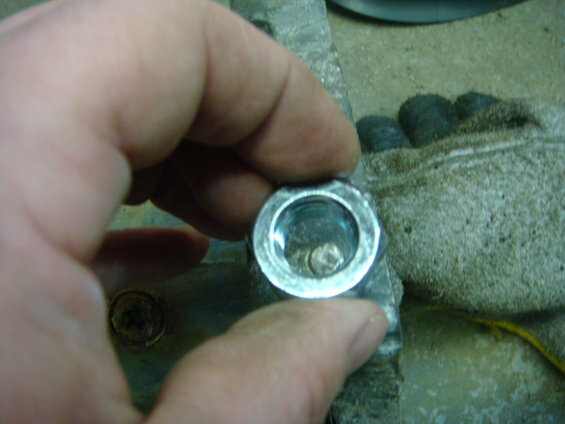 Find a nut thats larger than the stud, if the stud is broken off into something that is metal you'll also want a washer that has a hole the same size of the stud - this is so your weld goes into the washer and not the surrounding metal. This is alloy so I know my weld won't stick to it. 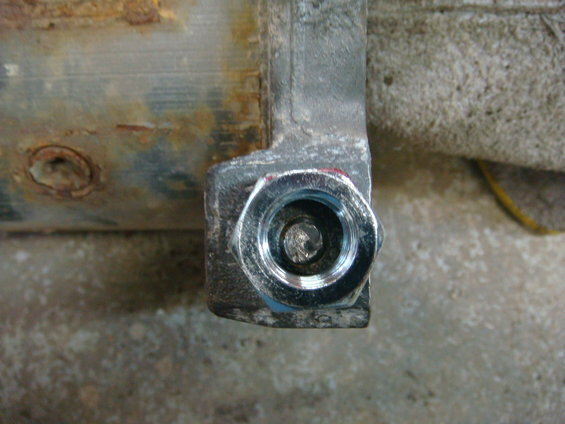 Center the bolt over the stud, should look like this. You'll concentrate the weld in the center of the stud working your way around till you fill the hole of the bolt. I like to set the welder on high so I get lots of heat to help loosen up the stud. 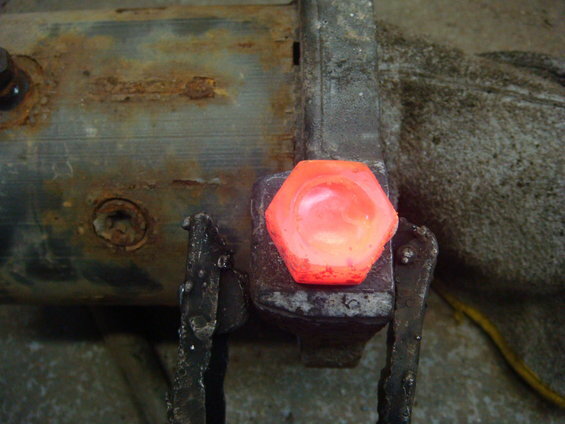 I let it cool till its no longer red - but still very hot, I than take a wrench and slowly work it back and forth till it comes out. Did you basically fill the nut with weld? Does it starve for gas a bit having the wire out that far or was that just for picture purposes? I fill in the nut focusing on the stud, the wire was extended just for the picture, I find it too hard to take pictures and weld at the same time. You could fill the depth of two nuts and not have a problem with gas. In fact, I drilled the wrong size holes in some 1 1/2" rings and had to fill them in. I just closed one end off and filled it on the other side. Even welding seams that are a tight angle you get good enough gas flow. I'd be more concerned about getting a good arc rather then gas. I have absolutely no welding knowledge so this may or may not sound retarded but can you use a tig welder instead? My father has a tig welder and I have two decapitated bolts in my water pump. As much as it would give me a reason to buy new tools, I really don't want to spend THAT much money. you could. Just use an old bolt with the head cut off. Grind chamfers on the the welding end of that bolt. I highly doubt you'll get the tugsten tip into the nut. All you really need is a few tacks. You could also grind a nut down to where you can get a good arc. if anything wled a nut onto that one after. Thanks.....I honestly have very little idea what you just said BUT my father will so thanks for the help. Nice write up, simple yet affective. This is not something you would want to do with flux core though, but the hard wire like you are using and not too hot is just right. just out of curiosity but why is that? 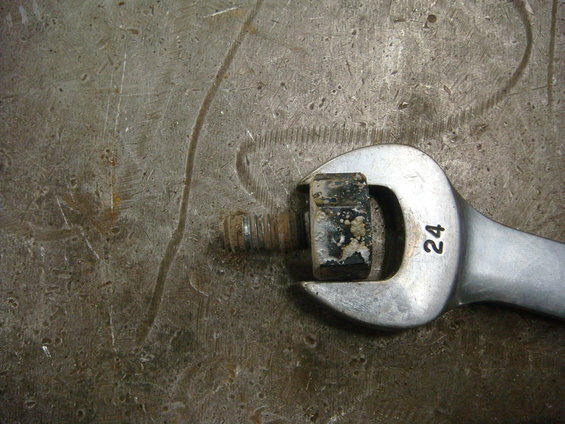 The ONLY way to get busted bolts out IMHO..Nice writeup! Been doing it that way for 30 years. ESPECIALLY true for bolts or studs broken off in aluminum...attempts to use extractors are always doomed in that case..and not much more effective in steel or cast iron either. I believe that extractors were designed by some devious engineer that wanted to sell more replacement parts..or sell more Helicoils..and designed to break off in the hole every other time, thus rendering the entire part useles. The key to TIG welding them out vice MIG (which we do all the time to get stainless bolts out of aluminum..like in outboard engines and such)...is to firt 'build' the stud up to a decent length by depositing metal on it with yr TIG torch and filler rod. It will end up looking like a turd or an ice-cream cone sitting on top of the busted stud and you want that turd to be at least as big as the OD of the busted bolt is. THEN you go ahead and put the larger nut over that and TIG weld it to the turd extension you made earlier. x2. Done it with regular flux-coated stick many times..
Because flux core (and I don't mean the gasless flux core) will penetrate right through that washer and weld the whole thing up solid. I'm sure you have done it with stick, but have you done it with flux core...from a wire feeder? A mechanic buddy did that and saved one of my Mopar 850 cfm Thermoquads, when I busted a mixture screw off blank. It will burn into it, but no it will not stick, unless the copper or brass is too thin then it may penetrate enough to stick to the base metat the stud is in. Since I've never tried this before I can't say for sure. You could experiment before you try it and then post your results on this thread. Flux core can easily penetrate through the washer and just as far or further into the metal below the washer. I've seen the flux core penetrate over 1/4". You could turn the heat down, mind you, but only after you tried it on scrap first. Hard wire and stick do not penetrate as far a flux core.